Quatrro's customers do not have to install or buy software from IT product companies like SAP and Oracles. They are bought by Raman Roy, and processes are created around it, which are then implemented for its customers. 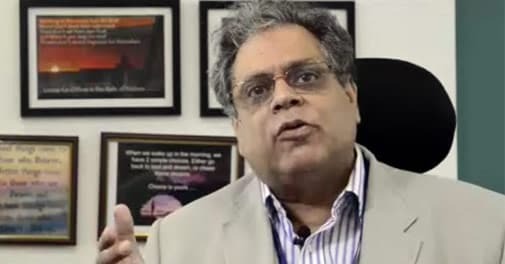 Raman Roy can be called a serial BPO entrepreneur-he set up four companies, three for others, and one for himself. The first two were in-house captive call centres for American Express (AmEx) and General Electric (GE). Opening up back-end customer service centres in India helped AmEx and GE cut down cost by 40 to 50 per cent. Spectramind was the third company set up by Roy, later acquired by Wipro. Roy's collaboration with Amex demonstrated that India could be a location for handling back end operations. His venture with GE showed that the BPO business was scalable while Spectramind proved that the work could be outsourced to third party companies in India. It was time for Roy to move on, and that's when Quatrro was established. The Indian BPO industry in 2005/06 was about $14 billion, and the BPO firms had over 90 per cent of their business coming from the Fortune 1000 companies. Roy saw an opportunity-no one had looked at the small and medium businesses. "The number of people in these firms was significantly more than in large companies, there was a bigger opportunity, and that's where we started out journey," says Roy, founder and CEO of Quatrro Processing and Analytics Services. Roy says it was a completely new model. Quatrro's customers do not have to install or buy software from IT product companies like SAP and Oracles. They are bought by Roy, and processes are created around it, which are then implemented for its customers. "My customers just pay for processing the transactions," he says. The other large global example of a similar business model is Salesforce.com, the cloud based pay per use model of delivering enterprise applications. But it takes time to prove a model like this, says Roy, but once it is done it can be replicated in many large companies as well. When Roy quit Spectramind, the company had 18,000 employees, doing work for 37 clients, with revenue of $300 million. Quatrro doesn't give out revenue numbers as it is privately held, but the company has a headcount of 4,000 people with 16,000 customers. Roy has helped the technology starved start-ups. And in the process he has sacrificed a bit. Quatrro doesn't have any large offices like Genpact, EXL Service, Accenture or WNS. "All our cash flow is used to hire sales people, not to buy buildings," he says. In fiscal 2013/14, Quatrro grew at over 20 per cent, which is double the growth of the industry. "Quatrro is a unique organisation, which has not spread itself and Raman is quick in picking up opportunities. They will never compete with the biggies but within its own space it is positioned well," sums up Som Mittal, former president, NASSCOM. *An earlier version of this story carried the name of Quatrro Processing and Analytics Services incorrectly.